Every other one of my posts on this site – and my own blog for that matter – seems to focus on or mention Trev Rich. It can hardly be considered a bad thing, bearing in mind that milehimusic.com was created to give spotlight on Colorado’s hottest talents because as far as I’m concerned Trev epitomises that very goal. Not only do I believe he is the hottest musician coming out of Colorado right now, he’s a permanent name in any of my top five lists – dead or alive. So it is an absolute honour that since taking up blogging almost a year ago, that I now have the chance to consistently conversate with someone I consider an inspiration; In the latest of our formal interviews, I interrogated Trev about his upcoming mixtape, “Heights 3“, his newly found relationship with Atlantic Records and what ever happened to “New Forever” which was followed by a couple of fan questions which were submitted through Twitter. Hello Trev, thanks for agreeing to another interview with me. How are you and what have you been up to over the summer? Trev Rich: All work no play type of summer. It’s been pretty wild musically a lot has happened in my life in which I don’t want to spoil for the tape. I’ve been great though. Couple ups and downs but that’s life. The big news is that this month, you’re releasing the third edition of Heights 3. Is the recording finished? Trev: Yes my portion of the recording is done! Finally it didn’t take that long to get back in a zone after a little while so the process was a lot easier this time. 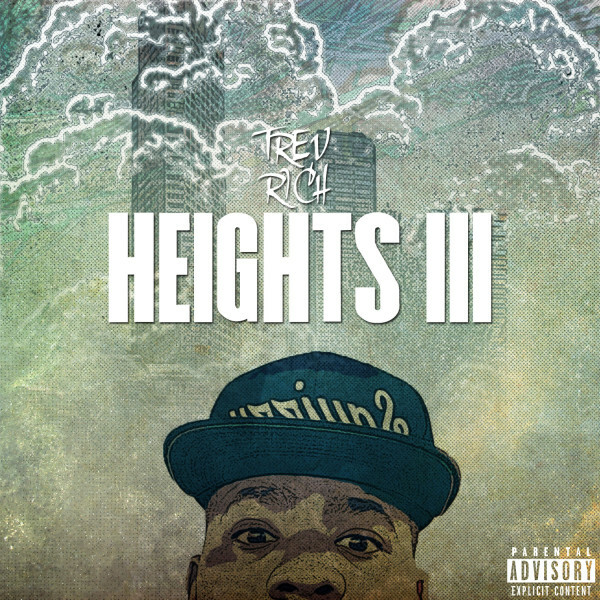 You claim Heights 3 to be project of the year, what makes it so much better than others? Trev: I’ve heard some pretty dope projects this year. A lot of dope production as well as substance but when I say Trev’s back I mean it now more than ever. I risked it all with this project. November has produced some brilliant tapes already (including my own – Class President) and it’s only 5 days in. What have you been vibing to recently? Trev: H3 getting everything ready I’ve skimmed through a couple other projects that dropped as well. I’m confident in 3. Very. You’ve also stated that Heights 3 has a different style to the other two, what makes H3 different to your other projects? Trev: I feel like a lot of my fans love the emo style I offer. The poetic Trev. They haven’t really got to see another side of me that much. This project shows my versatility more than any other. I talk about it all. I’ve spoken to you before about my love for Dear Ma, what track do you expect to be a fan favourite from the new tape? Trev: Going back to the last question I know what my loyal fans want and I expect “Pain” and “Migraines” to make a lot of noise this time around. Also “Old Thing” which has a familiar twist to it. What is your favourite track and why? Do you tend you like tracks you enjoy recording more than those you don’t? Trev: I love them all! I can’t pick a favorite they all mean something different to me but equally special. I didn’t want any fillers so I went the extra mile to make sure none of the tracks could be considered such. @igot_theblunt got in contact on twitter and asked if we’ll ever hear a collaboration project between you and Jimmie Murphy? Trev: Me and Bro are always hard at work I’ve been working on 3 and he’s been working on Descendre 2, so somewhere in the middle we’ll meet and make magic. Like always. Does he feature on Heights 3? Trev: Yes, on a track called “Cocaine.” Which is geared towards the women but the fellas will understand just as much. I tend to do this a lot but always different and better than the last in my opinion. What other features can we look forward to? Who’s got the best featured verse in your opinion? Trev: I’m not telling yet. When the official track list drops you’ll see. There are a couple features still in the works so depending on those I’ll put it out there very soon. I’ve not seen the full tracklist yet, any chance of you sharing the full thing with us now? Trev: Not a chance. We got two weeks left and when we start to push all the dominoes will fall around the same time. You’ll see very soon. Outside of recording the mixtape, you’ve been writing for Atlantic Records, how did that come about? Trev: It’s still in the beginning stages so I can’t really discuss too much but much love to the entire Atlantic and APG staff. I look at them like family now. As I imagine you can’t disclose who you’ve written for. Who would you like to work with from that label? Trev: If I said that you’d know who I’ve written for [Laughs]. Having absolutely nothing to do with my writing opportunity I’d love to work with Kanye West. And a close second Adele. Before H3 was even mentioned, you were promoting New Forever..what happened there? Trev: I’m still a new artist. A lot goes into an album that I just wasn’t ready for yet. I’m getting to that point though. The album is still in the works as well. @beatinodds got in touch via Twitter to ask if Heights 3 follows a story line? Trev: You guys are ruining all of the surprises. You can say that but, I won’t tell you the story I’ll see if you guys can catch on to it first. @2_eazzi asked a question which asks how you have such bars. What advice would you give to aspiring rappers when it comes to lyricism? Trev: Be very observant. Then think of a second way to look at everything. Then a third. From people to words to situations. Then the bars will surface.